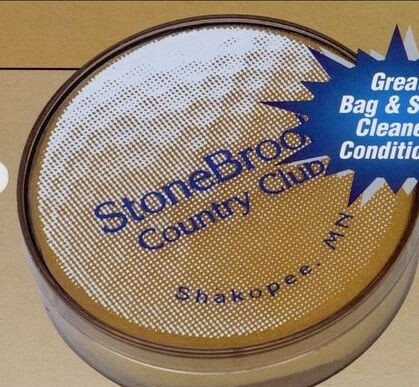 Weekender shoe care kit, includes show horn, shining sponge, soft bristle brush, quick sing sponge and soft cotton cloth all packed in a convenient UP case with handle. 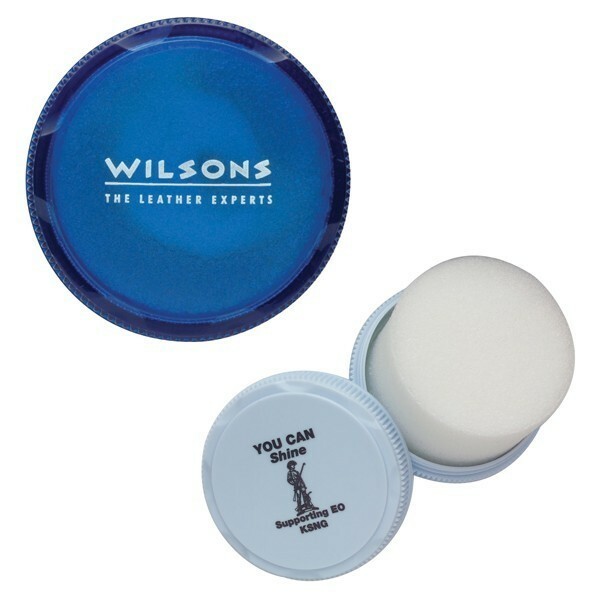 Decoration: W 2" x H 0.75" Closeout Item. 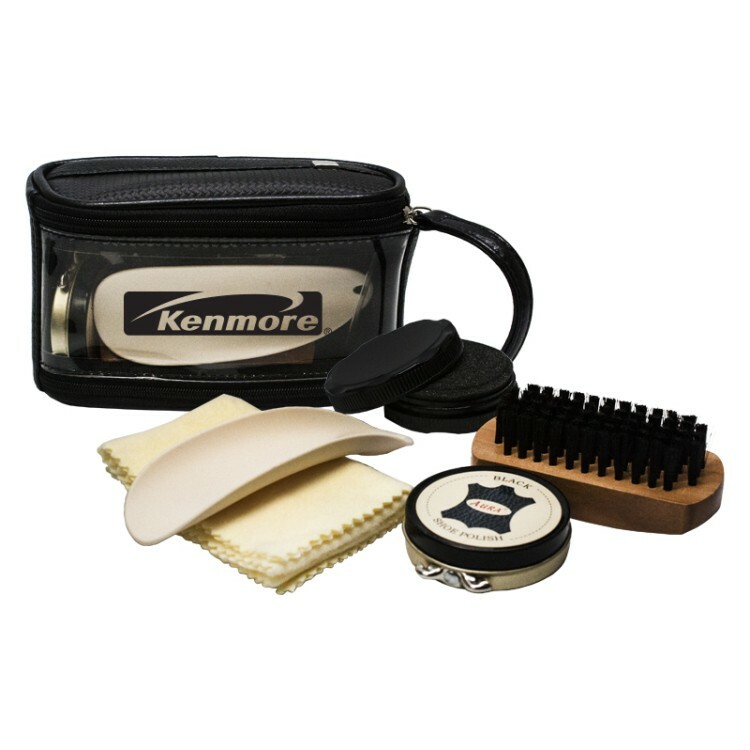 Shoe shine kit in attractive tube shaped leatherette case. 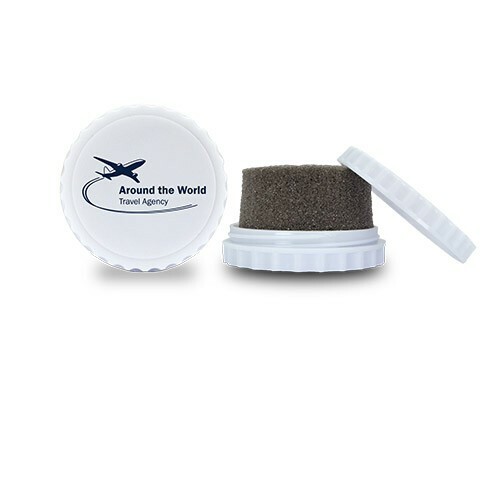 Includes wooden brush, cleaning cloth, shoe sponge and neutral color shoe polish. 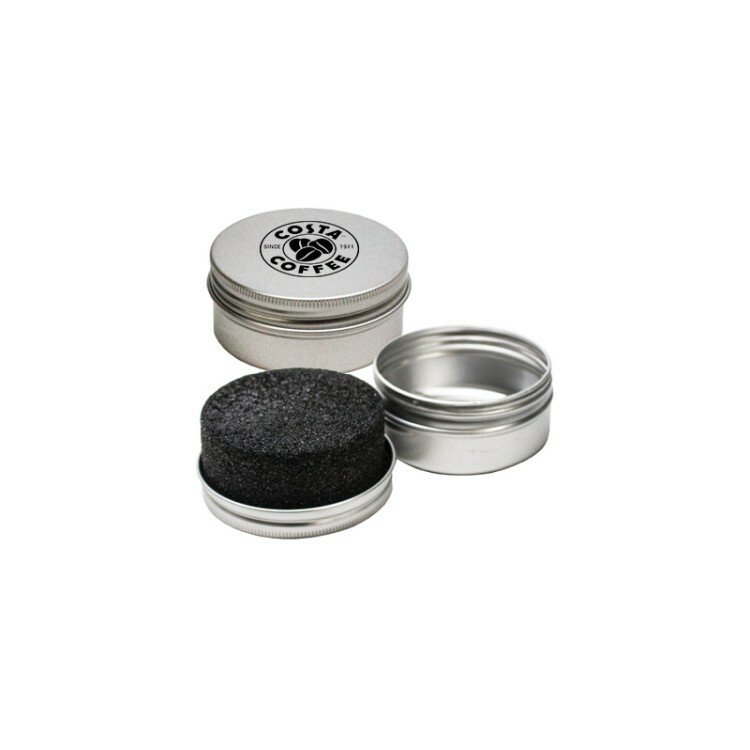 Decoration: W 2.75" x H 0.75"
Shoe polisher in disc shaped tin can. 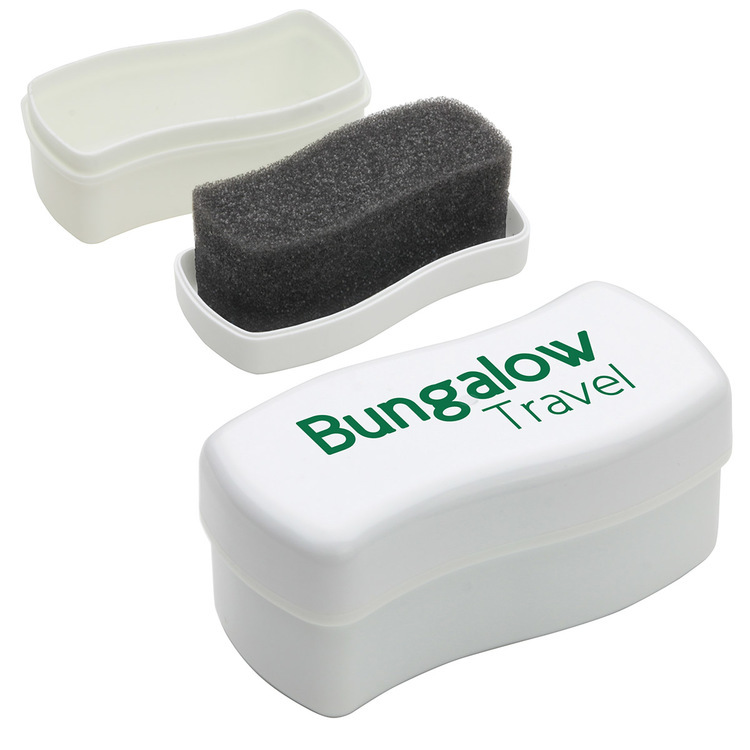 Pop up sponge with neutral shining "agent" for effective shoe cleaner. 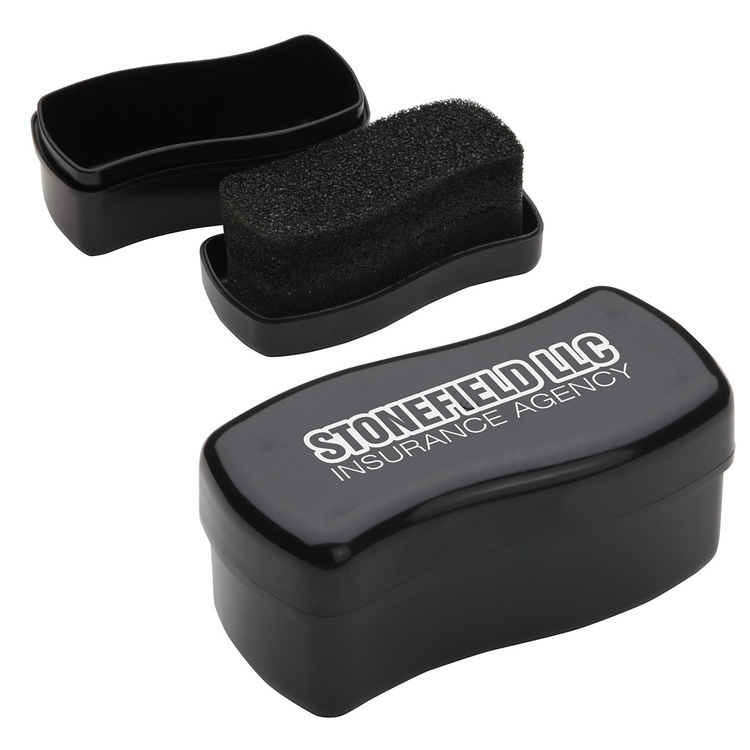 Imprinting available on lid. 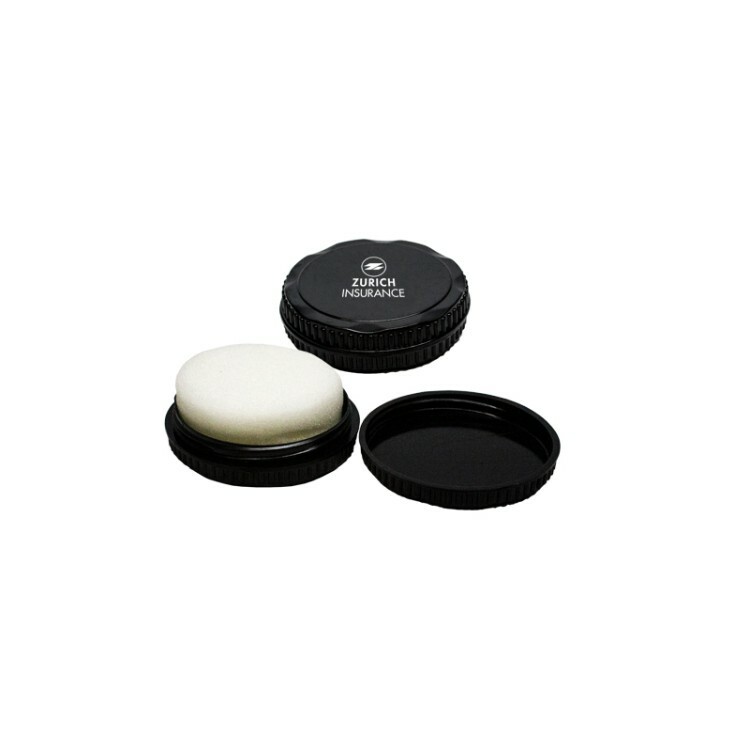 Decoration: W 1" x H 1"
Shoe polisher in disc container. 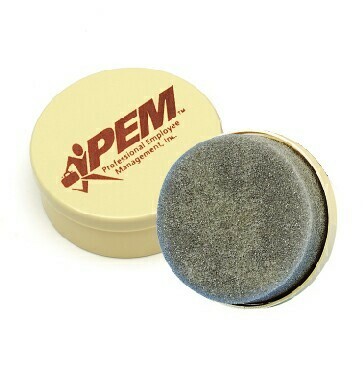 Pop-up sponge with neutral shining agent for effective touch-ups. 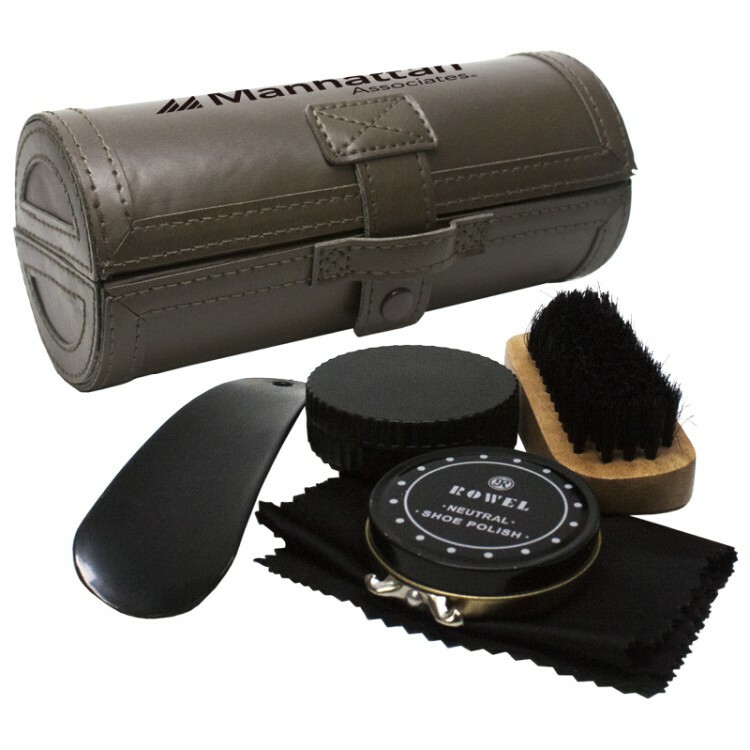 Colors: Black or White Decoration: W 1" x H 1"
Complete shoe care kit, includes shoe horn, sponge, brush, neutral color polish, and neutral color quick shine sponge. 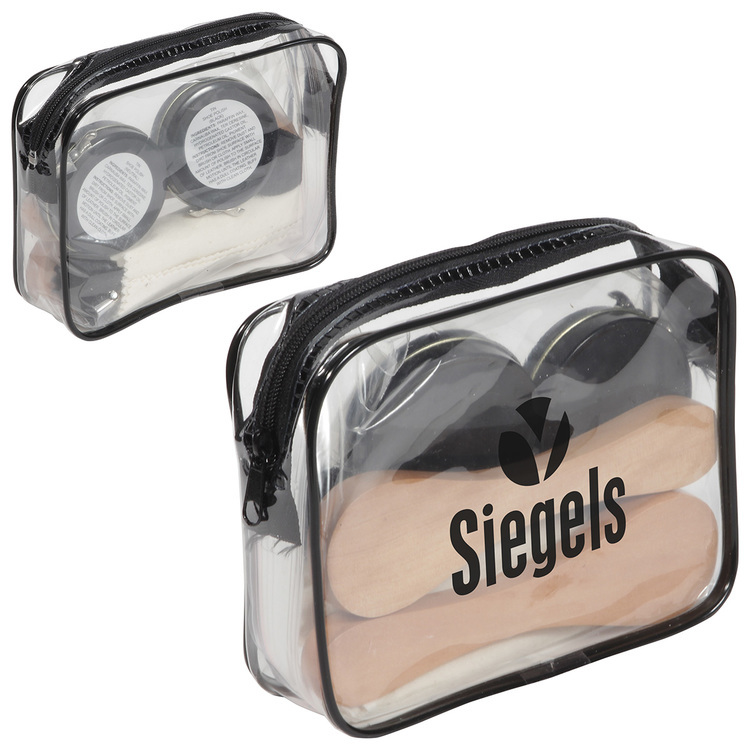 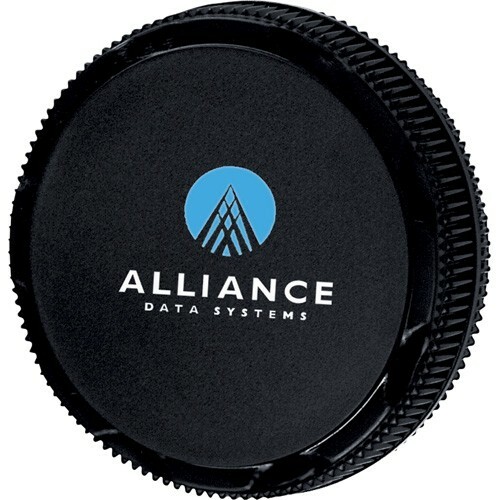 These are neatly packed in a convenient simulated leather round case with handle. 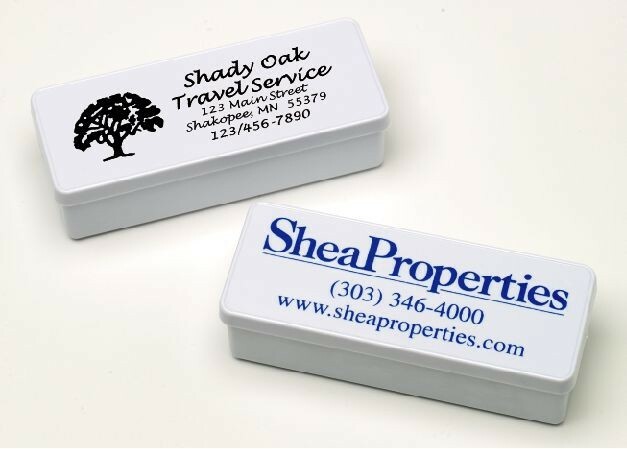 Decoration: W 2.5" x H 1"